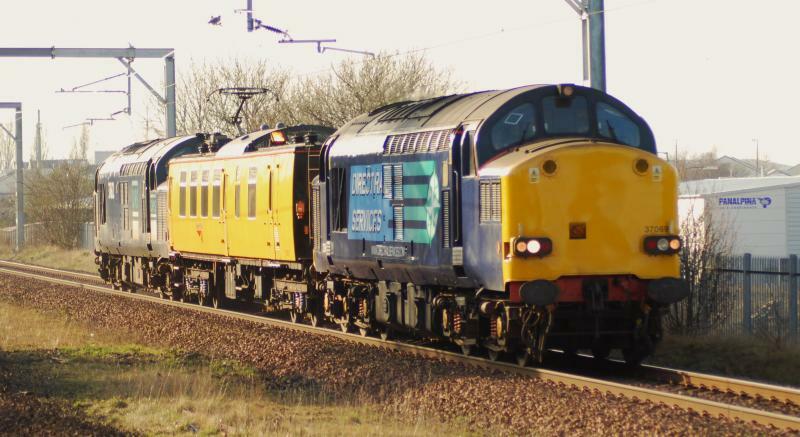 Network Rail's Infrastructure Monitoring trains (or 'Test Trains') are operated on their behalf by Colas Rail, but some use Class 37 locos hired in from DRS and Class 67 locos from DB Schenker. Colas took over from DB Schenker on 7th September 2015. 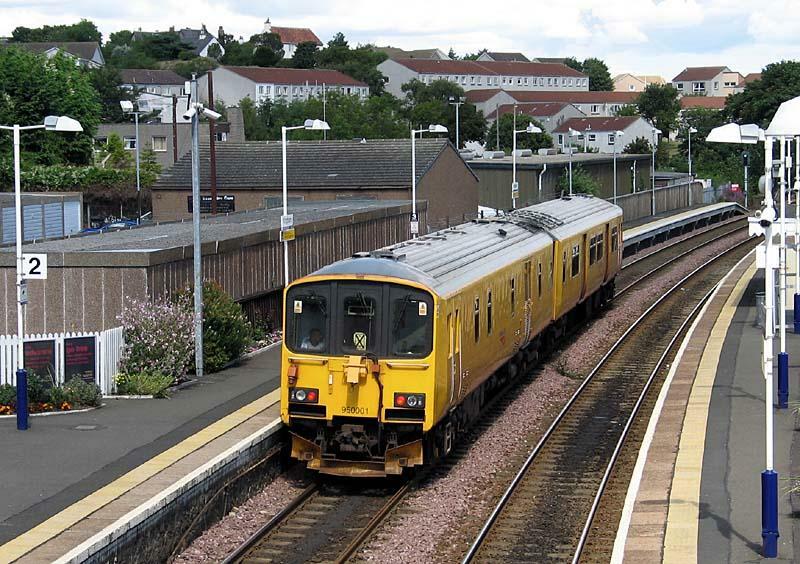 Until 2010 these test trains were operated by Serco. 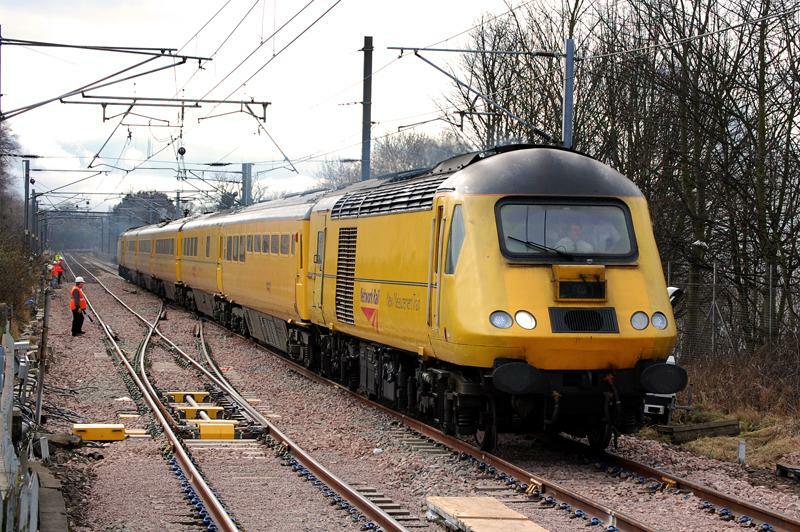 Further details about the NMT can be found on the HST page. 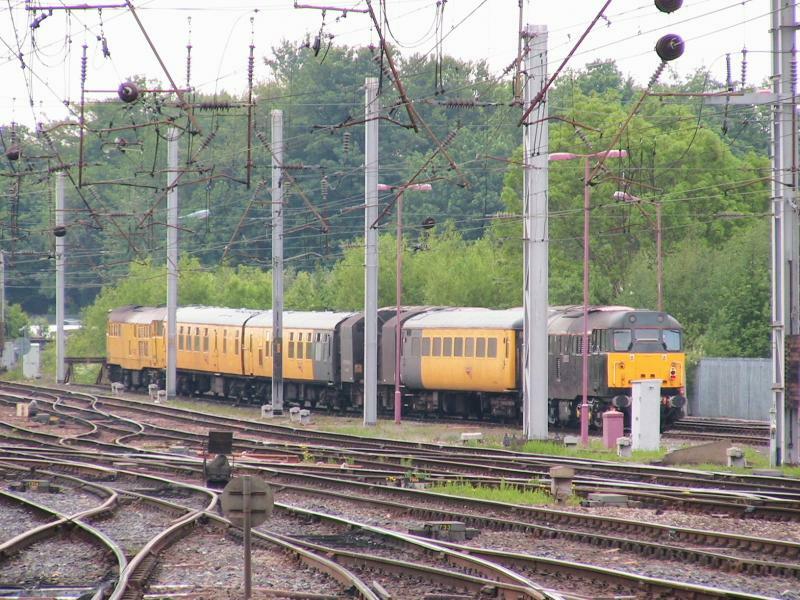 This is a Mk2 type coach and can be formed in a loco-hauled formation as a substitute for the NMT, and for a time ran in the NMT set until the MK3 test coaches were ready for use. Numbered 999550. It has thin blue waist stripes as per NMT stock. 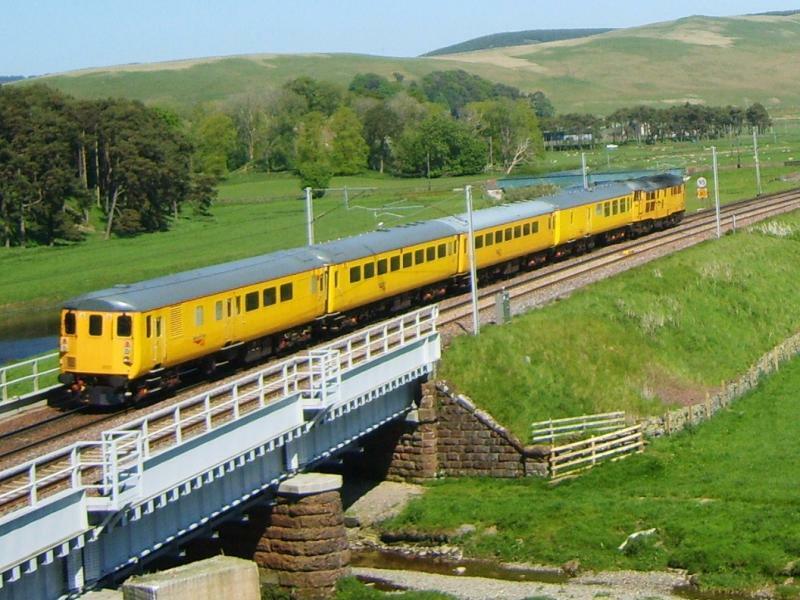 A purpose built 2-coach DMU based on the Class 150/1 sprinter. Vehicles are numbered 999600 & 999601, and carry the set number 950001. This is a Mk1 type coach (orignally an inspection saloon), with part recessed bodsides. It is used when the TRU is unavailable. 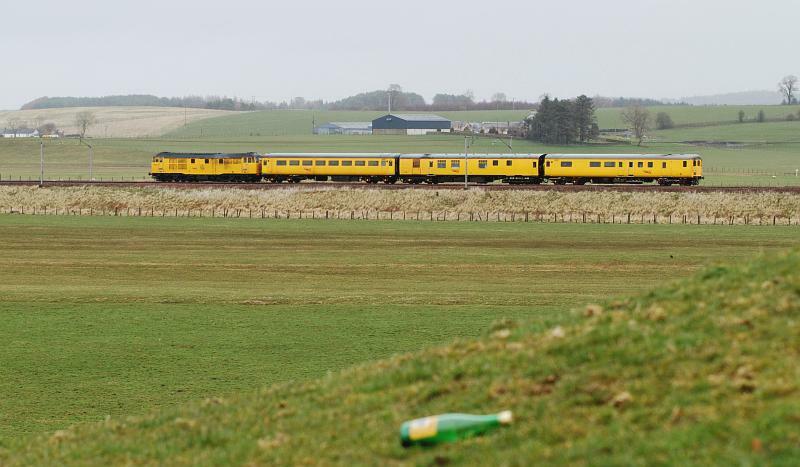 Former Mk2E TSO coaches, with various low-profile radio antenna on the roof. Used for testing the NRN, CSR and GSM-R systems. Previously, a former class 101 DMU set known as Iris II was used on this duty. 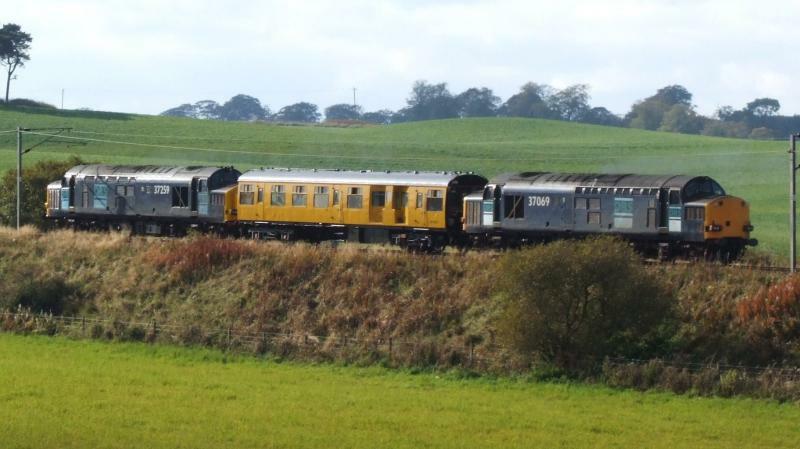 The Ultrasonic test coaches were converted from Mk1 EMU motor coaches. They are noticable at night by the bright lighting around the equipment fitted bogie. There are currently three trains, each with one of 999602, 999605, 999606. Sometimes referred to as OSG - Optical Structure Gauging. Features the 'Optical Car', a 2-axle wagon, painted black numbered DC 460000 . Numbered 975091. A Mk1 coach with a flat roof and a pantograph. The individual test coaches may be accompanied by other vehicles, for staff accommodation, power supply generation or additional brake force. From 2008, former DBSO driving trailers have been converted for use on the test trains. Departmentals.com - for enthusiasts of departmental coaching stock. Created by Dysgraphyk and last modified by him at 20:32, 12 of September 2015.